Almost anything you could usually purchase in the UK will also be available in Korea, although it is important to allow for the following considerations before you fly. Korea has 4 distinct seasons, with the summers hotter and the winters colder than most areas of the UK, so you will need to pack clothing which will cater for a variety of conditions. You will usually need to bring some form of semi-formal attire for work. Whilst no academies will insist on their teachers wearing a full suit and jacket, teacher uniform rules tend to vary from semi-casual to a shirt and tie with smart trousers and shoes. Generally clothing considerations will be mentioned in your contract and your prospective employer will let you know what forms of clothing you should or should not wear before you come to Korea. Although taking a range of clothing when you travel is recommended don’t worry excessively and go overboard when trying to squeeze a final few t-shirts into your luggage. Buying new clothes in Korea once you have arrived will be straightforward. The city of Ulsan has a huge number of different department and clothing stores which cater to a variety of tastes. Western labels are heavily represented and you will have no difficulty in locating the likes of Levis, Evisu and Calvin Klein, often at prices far lower than those found in the UK. For those not so concerned with brand names, street markets, which spring up across town throughout the week, provide an extremely low cost alternative. Practically everything available in the UK can be easily obtained within Korea. Department and cosmetic stores (the latter seemingly placed down almost every street) carry a wide range of western cosmetic brands, and you should have no difficulty in locating the items you require. The exception to this is deodorant, which is almost impossible to locate outside of a handful of locations (the big ‘Home Plus’ supermarkets dotted around the city being one of those). It is therefore recommended that you stock up on your favored brand prior to travelling. 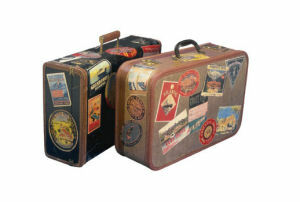 Depending on the airline you travel with (and the ticket supplied by your school) luggage weight restrictions vary between 20 and 30 kilograms. Although it might seem like an obvious thing to point out, weigh your bags on some scales prior to setting off for the airport, and read the ticket instructions carefully for guidelines regarding luggage dimensions. Aim to arrive at the airport as early as possible after the check-in desk opens, as sometimes the airline will allow you to check in bags which are marginally over the maximum amount in the possible scenario that you have miscalculated. Don’t worry if you are unable to take everything that you think you will need. If those items are not available for purchase within Korea (and most things are), these days international package delivery through the likes of UPS and DHL is not prohibitively expensive. It is a common tactic amongst teachers living in Korea for friends or family to send them required items. Your Academy director should be able to help you facilitate this.